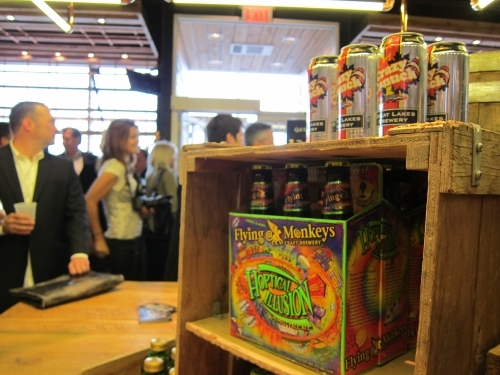 When it comes to selling beer, it helps to have a good story to tell. And when it comes to good stories, it’s hard to beat the one behind Saskatoon’s Great Western Brewing. Opened in 1927 as Hub City Brewing Company, the brewery changed hands a number of times over the years, ending up as a branch of Carling O’Keefe until 1989, when the Molson/O’Keefe merger threatened it with closure. To avert this fate, sixteen employees got together and purchased the brewery and relaunched it in 1990 as Great Western. In the years since, Great Western has never had an pretenses of being an artisanal craft brewery. Its brands are aimed squarely at the mass market and sold largely in Saskatchewan, where the brewery’s local and independent nature is what keeps them selling. So it was a bit surprising to see the launch back in March of Original 16 Canadian Pale Ale, a self-described “premium beer brand” released and named in honour of the brewery founders. Having now tried the few cans that the folks at Great Western were kind enough to send me, I’m reminded that in the world of beer marketing, the word “premium” can have a variety of meanings depending on the context. Or more to the point – when a brewery that normally produces mass market pale lagers puts out an ale and describes it as a “premium beer,” it’s probably not going to be a rich, hoppy, full-flavoured brew. Based on Original 16, it’s more likely to be a clear golden ale with a light and sweet aroma of honey-on-toast and fruit cocktail, a crisp and clean body, and a refreshing flavour profile with notes of honey, lemon, grape skin and cut grass. What makes it “premium” is the fact that it’s an adjunct-free, 100% barley malt brew, and that its initial 7 day fermentation is followed by nearly four weeks of aging, a rarity for mass market beer. Basically, Great Western knows its customers, and has brewed a beer that will appeal to them – i.e. 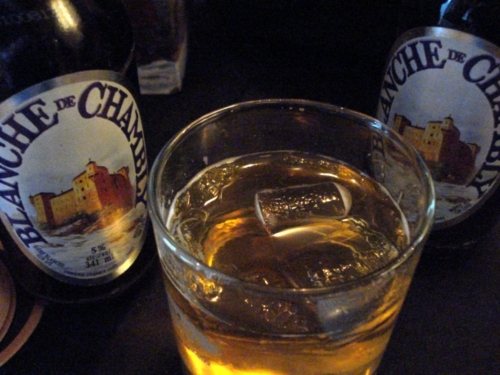 a simple, clean, golden ale that has strong stylistic similarities to a a simple, clean, golden lager. It might not turn the head or excite the palate of someone whose taste is more inclined toward big and bold craft beers. 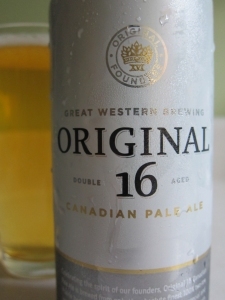 But for what it is, Original 16 is nice little beer. A couple of weeks ago, I was pleased to be asked to contribute an article about Toronto’s beer culture to the user-driven news site OpenFile.ca as part of a series they’re publishing about beer across the country. I was asked to write about one particular aspect of the scene, preferably something unique to Toronto, and the angle I took was to cover the bunch of new breweries that have recently opened in town, or soon will be. The article was posted yesterday, and while I’m happy with it, word limits and editing meant that only a couple of short quotes from the email Q&As I did with various owners and brewers were able to be used in the published version. So rather than have the material go to waste, I thought I’d post the full quotes here. As the popularity of premium spirits continues to grow, so too does the volume of promo packs being sent out by PR companies in an attempt to get a bit of coverage for the latest tipple. Often these packages are minimal – just an airplane bottle of the booze and a bit of supporting material – but sometimes there’s a bit more thought and effort put into the campaign. One of the more interesting pitches I’ve received lately actually came in two parts, the first being a small package containing a ceramic cup holding vials of nine different spices – vanilla, nutmeg, cinnamon, ginger, cloves, mace, allspice, pepper and juniper berry – along with a note indicating that a second package would be coming soon. It was an interesting approach, and one that left me curious and anticipating the arrival of the main item – in other words, a successful bit of marketing. The subsequent delivery was a bottle of Cruzan 9 Spiced Rum, a recent arrival in Ontario (LCBO 225680 – $27.95/750 mL bottle) that joins brands like Sailor Jerry and The Kraken in the spiced rum niche. The press bumpf that accompanied the bottle features the expected words and phrases – “authentic”, “heritage”, “premium craftsmanship” – but all I really care about it what’s in the bottle, and whether or not it’s any good. In this case, it is, but with a caveat: A soon as the bottle is opened, it’s obvious that in order to enjoy this rum, the drinker had better dig vanilla. And not the deep, woodsy vanilla found in bourbon, but sweet, candyish vanilla, like the pure vanilla extract used in baking. The aroma is just chock full of it, with the sharper spices like cinnamon and clove just offering a hint of backing support. Vanilla is also a big player in the flavour, especially off the top, with the other spices coming to the fore in the middle and finish. Cinnamon, clove, allspice and mace all make appearances as the liquid coats the tongue, and the finish is warm, peppery, and a bit herbal, suggesting some influence from the juniper berries. 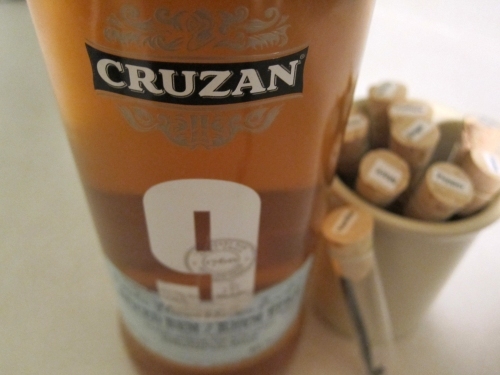 As a whole, I found Cruzan 9 to be a pleasant rum with well-balanced spicing, but also a touch on the sweet side for my palate, at least when sipped straight. I tried it in one of my favourite rum cocktails, the Dark ‘n’ Stormy, and even there the vanilla flavour came on a bit too strong, although the other spices played well with the ginger beer. 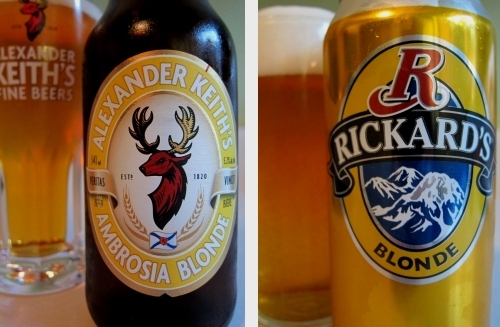 Cameron’s Brewing has never really been what you might call an overly adventurous brewery. Yeah, they’ve put out some experimental one-offs for their monthly Cask Nights at the brewery and the odd special event, but their main efforts over the years have been focused on a line-up of four beers that are solid enough, but not exactly envelope-pushing. 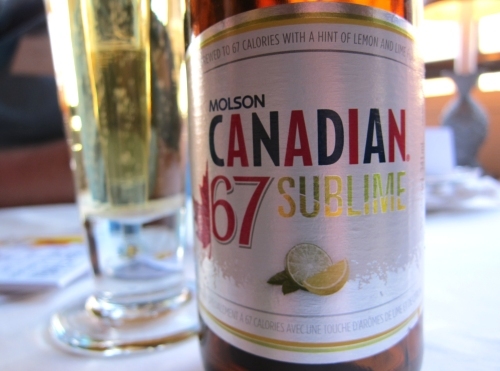 Given that history, it made sense that some eyebrows were raised when it was announced last November that former Molson marketing executive Bill Coleman had joined Cameron’s as co-owner and president. 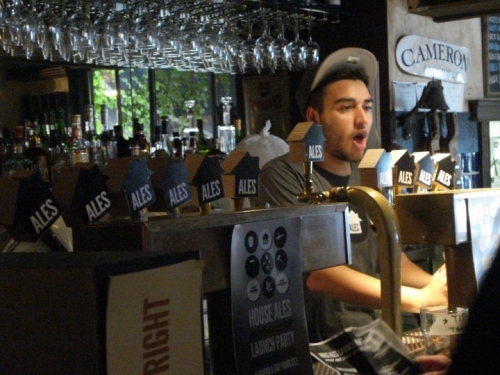 Exciting or not, Cameron’s is still a well-respected craft brewery, and there was some concern that Coleman was a guy with big brewery ideas who was swooping in to take away the few interesting things that were happening at Cameron’s in favour of the bottom line. Thankfully, though, that hasn’t seemed to be the case. If anything, it looks like Coleman might be encouraging the brewers to get more creative, assuming this new beer – a 7.4% ale aged in a Jack Daniel’s cask and released in a limited edition of 150 bottles – is any indication. Out of the bottle, the beer instantly grabs some attention with its rich and slightly hazy chestnut-mahogany body capped with a moderate sized off-white head. On the nose, it’s big without being aggressive, with notes of whiskey, vanilla, wood, caramel malt and cocoa all nicely balanced. The flavour holds just what the aroma suggests – a well-integrated blend of mellow sippin’ whiskey and a strong and smooth malty ale – with a hint of sour wood and subtle hops in the finish. My only real complaint is that the palate is a little light, and should the series continue, I’d be interested to see a fuller bodied beer being used in a future installment. But that’s a minor quibble over an otherwise fine brew that is hopefully a sign of more good and interesting things come from the brewery under Coleman’s watch. Cameron’s Oak-Aged Series – American Whiskey Barrel is available now at the Cameron’s Brewery store in Oakville, priced at $12.95 per 750 ml bottle. While it may play into stereotypes somewhat, there is some truth to the old adage about Scots being both thrifty and ingenious. 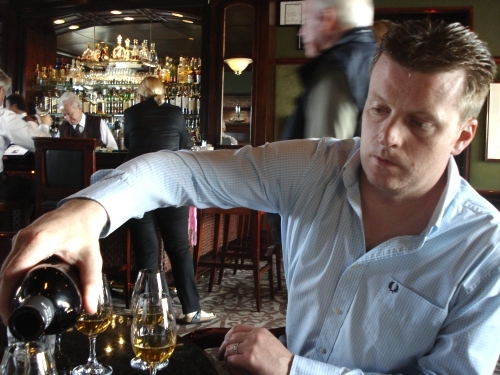 So when the record snowfalls that struck Great Britain in the winter of 2009-10 caused the roofs of several warehouses holding casks of Glenfiddich whisky to collapse, it was almost inevitable that Malt Master Brian Kinsman (pictured above) would figure out a way to turn a potential disaster into something great. Along with his team, Kinsman checked the contents of between 400 and 500 of the exposed casks – some ex-sherry, some ex-bourbon, with liquids ranging in age from 13 to 30 years – and selected around 200 to be melded into a special one-off bottling, something that is quite rare for the distillery. 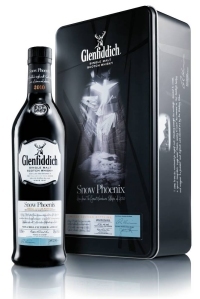 The result is Glenfiddich Snow Phoenix, a whisky limited to 60,000 bottles, with a portion of that recently arriving in Ontario (LCBO 236752 – $89.95/750 mL). First of all, it’s worth noting that unlike most Glenfiddich whiskies, Snow Phoenix isn’t chill filtered, meaning that it has a slight haziness that becomes more pronounced when a splash of water is added. It’s also bottled at a higher proof than the regular range – 47% abv vs. 40% – which raises the expectation of it being a bit hotter than a regular Glenfiddich. At first nosing, though, the increased alcohol is not especially evident. Instead, there’s a very pleasant melange of the fruit, honey and toffee typical of the Glenfiddich house style, along with some spice (cinnamon and clove), orange oil and faint oak as backing notes. On the palate, the honey and orange oil are the first to hit, with notes of sherry and vanilla filling the middle, before the booze finally takes over in the warm, spicy and slightly woody finish. As we tasted, Kinsman stressed that while it’s limited nature has inevitably led to Snow Phoenix being viewed as a bit of a cachet product, his intention was still to make a whisky that is easy and pleasurable to drink, not just something to display on a shelf. He definitely succeeded in this regard. In addition, the $89.95 price point puts Snow Phoenix at a cost quite reasonable for a limited specialty Scotch, making it accessible to more than just the collectors. Although if you have a few extra bucks kicking around, you might be interested in its sibling, Glenfiddich 50 Year Old, a single bottle of which is available now at the Summerhill LCBO for a mere $26,000. For the rest of us, though, Snow Phoenix will do just fine. It’s no secret that Ontario beer drinkers complain a lot about the state of things in our province. A quick scan of the Bar Towel forums will reveal numerous threads bitching about something or other, with the LCBO and Beer Store being especially popular (and sometimes deserving) punching bags. But even amongst that negative noise, there’s developed a realization that while our craft beer scene may not be perfect, it’s still pretty damn good. Our local breweries are getting more adventurous with their offerings; our selection of great imports continues to improve; an increasing number of bars and restaurants are stocking better beer; and the events focussed on good beer have become more and more frequent. One of the best examples of the latter is Ontario Craft Beer Week, an initiative launched last year by the Ontario Craft Brewers, and which returns for this year starting tomorrow, running June 19th to 25th (although unofficial pre-week events such as the Cask Ale Crawl and the Beach BBQ and Brews Festival have already started happening). Not to be confused with Toronto Beer Week, which also debuted last year and will be back in September, OCB Week encompasses a wide variety of events across the province, ranging from brewery open houses and casual tastings to formal dinners and festivals.